Between my home studio and the open paddock, my favourite occupation is to conquer the challenge of painting a landscape with as much freshness, light and "truth" as possible. Creating the painting is such an all-engrossing joy, then the pleasure of revisiting the painting, touching up and surprising myself over and over each time I "catch it unawares"...such a joy! 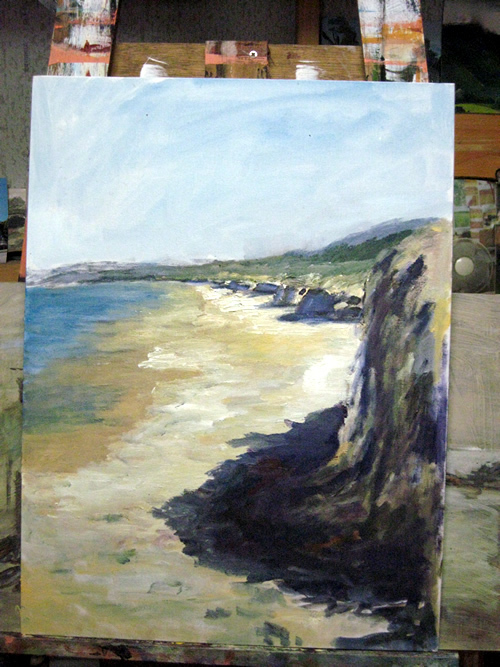 So here is my current painting, at this stage, a work in progress, interrupted by an encroaching sandstorm. 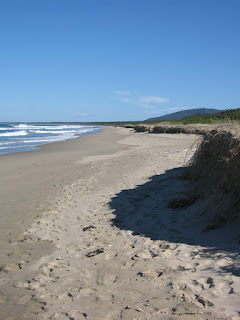 The location was a regular spot we go to paint and fish for the day, Seven Mile Beach just south of Geroa. I'll be uploading the finished painting soon.